Like a doctor, the Buddha performs two functions for his patients. (i) Diagnosis of the disease. (ii) Recommendation of a treatment regime. 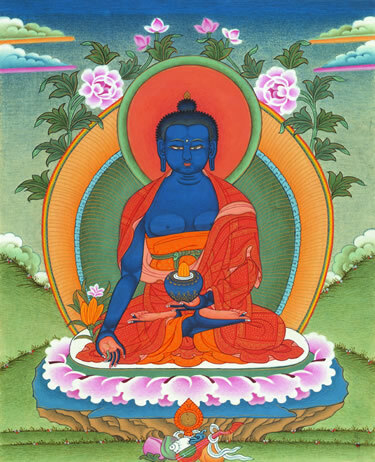 DIAGNOSIS consists of recognition of the symptoms of dukkha, and identification of their causes. This is the subject matter of Buddhist Philosophy. TREATMENT consists of recommendations of changes to lifestyle and mental habits to cure the patient of his/her afflictions. This is the subject matter of Buddhist Practice. The diagnosis (and hence the philosophy) will be similar for all patients. However a skilled doctor will often prescribe different treatments for the same disease in different people, according to their strengths, weaknesses and previous medical history. This is why there are many different schools of Buddhism, each suited to different personality types. Although they all have the same philosophical basis (The Four Seals of Dharma), their practices may differ widely. "The diversity of Buddhism in its many different schools and sects are like the wondrous prismatic rays of a single universal pure light, seen as it were through the many facets of the beautiful diamond of Dharma. We should learn to appreciate the whole display." "Let us try then to look at the teachings with a broader view, using the simile that has always been used by the practitioners of the Bodhidharma that the Buddha, his teaching, and the Assembly are Three Precious jewels and each of these jewels has many facets. The facets of the Buddha for instance are Sakyamuni, Amida, Medicine King, Kannon, Fudo, Mahavairochana and Manjushri and so on. Each facet a Buddha radiating the brilliant light of his particular wisdom to benefit beings, and each facet of the Dharma jewel a different school, whether here in Japan, China, Korea, Siam, French Indo China, Ceylon, Tibet or India. And that the Sangha jewel is faceted. Each one of us is one of those facets, shining with its own light, working for the benefit of others and our own enlightenment. Yet each of these jewels are not sundered or broken into pieces but remain a unity and that each and every facet is totally inseparable from all the other facets, for in order for their existence to remain they must be one." While there is a unified perspective on life among Buddhists, it can be viewed as a diamond that has many facets, each gleaming according to the angle of light. Each facet glows at the appropriate time. It is notable that while Buddhist philosophy can be quite complex, it has developed a wealth of stories, parables, doctrines, poetry, symbols and rituals to enable ordinary persons to grasp its insights. 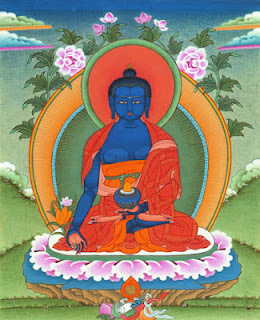 The Dharma, along with the Buddha and Sangha, is one of the three Jewels - the objects of refuge for all Buddhists. The Dharma Jewel is sometimes visualised as a Metaphysical Crystal with 84,000 different facets, representing all the teachings of the Buddha. Depending on our viewpoint, one or a few of these facets will reflect brightly in our direction. When we first meet the Dharma, we are attracted to the most brilliantly reflecting facets - those aspects of the teachings that are particularly relevant to us and our problems. Most of the other facets will appear dull or oblique, or not appear to us at all, being completely hidden round the other side of the Crystal. But other people may be attracted to those facets of the Jewel that appear bright to them but dull or hidden to us. We must be very careful before making any comparisons, because the appearance of the Jewel to our mind is entirely a result of our karma.